The Grande Prairie region is rich in fossil resources. Most of the fossils found in this area come from the Wapiti Formation, a unit of rocks that was deposited between 80 and 69 million years ago, near the end of the Age of Dinosaurs. These rocks are the same age as those found in some of the most famous fossil beds of Alberta, like Dinosaur Provincial Park; however, in some cases they contain different animals than those found to the south. 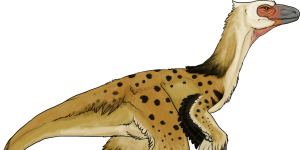 To find out more about the dinosaurs and other animals from the region, click on their images below. 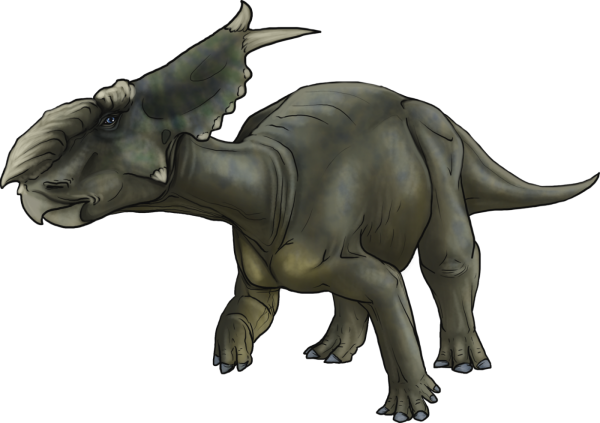 Ceratopsians include some famous horned dinosaurs such as Triceratops and Styracosaurus. 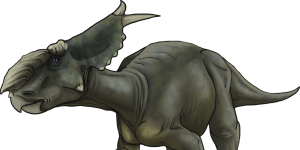 In the Peace Region, at least two species of Pachyrhinosaurus have been discovered. Their bones are found in enormous numbers at several sites known as bonebeds. 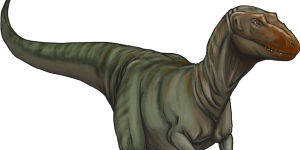 Small theropods include a host of small meat-eating dinosaurs. 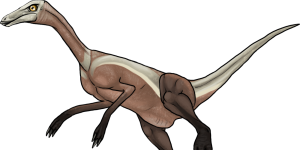 In the Peace Region, Troodon, a big-brained, sharp-clawed predator, was the most common. 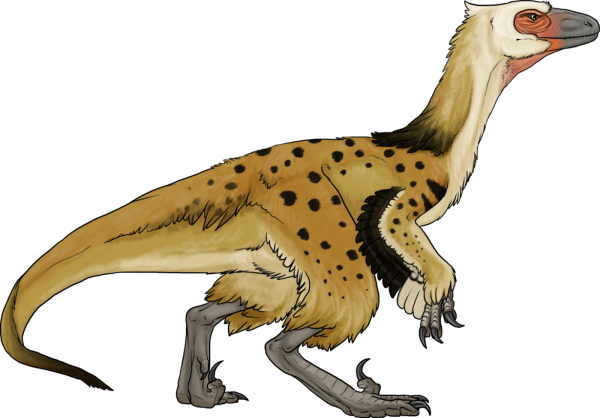 Other species include Dromaeosaurus and Saurornitholestes, a 2.5m long relative of Velociraptor. 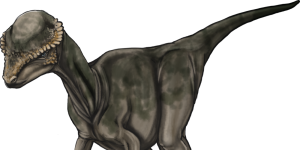 Hadrosaurs were the most common dinosaurs in Grande Prairie. 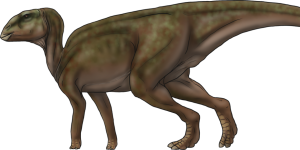 Some skeletons of Edmontosaurus have been found with the scaly skin fossilized. Sometimes called ‘duck-billed dinosaurs’, these herbivores lived in herds for protection against predators. Great numbers of these animals are found in the region. 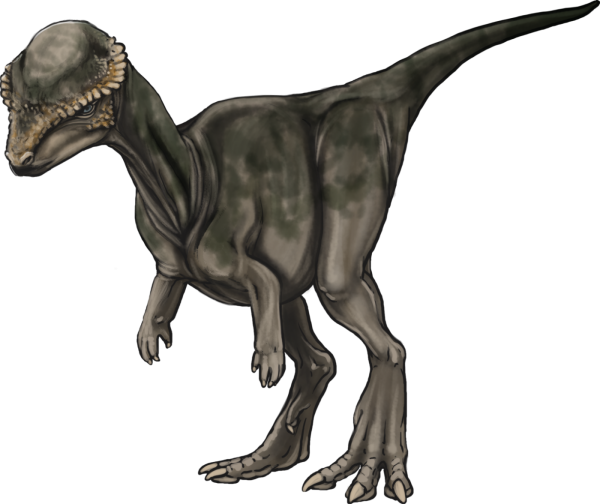 Tyrannosaurs include a number of large carnivorous dinosaurs such as Tyrannosaurus and Albertosaurus. Palaeontologists have not yet identified the species of tyrannosaur from the Peace area. Broken tyrannosaur teeth are commonly found near the skeletons of hadrosaurs that they often feasted on. 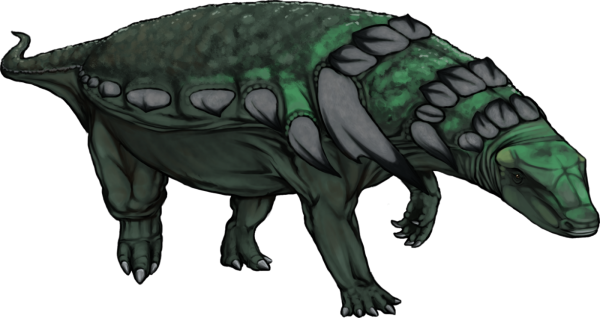 Anklyosaurs are a group of heavily armoured dinosaur, with species like Ankylosaurus, Euoplocephalus, and Edmontonia being found in other parts of Alberta. They had bony plates called osteoderms covering their bodies, some of which grew into large spikes or clubs. 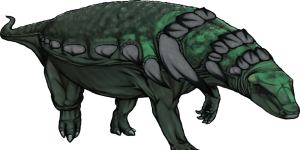 We know that ankylosaurs were in the Peace Region based on the bony armour plates that have been found here, but we don’t know yet exactly what species may have lived here. 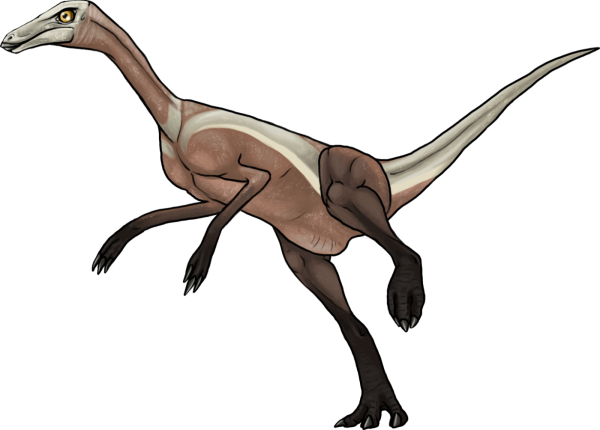 Fast-running, ‘ostrich-mimic’ dinosaurs called ornithomimids were present in the Peace Region, as seen from fossil bones and footprints. They were rare animals and not a lot of fossils have been found in the area. 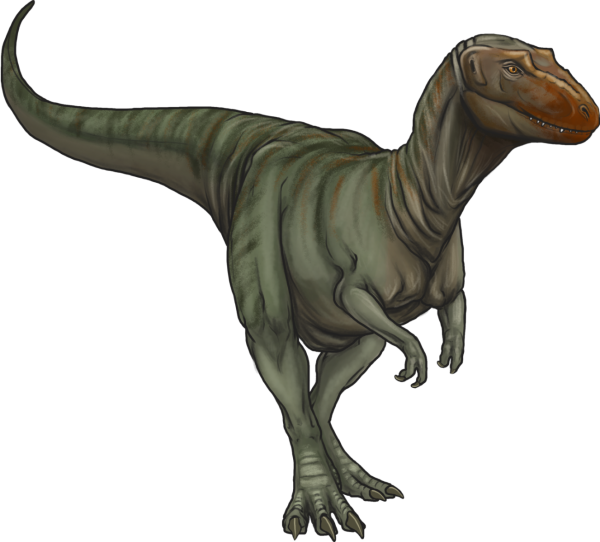 Pachycephalosaurs are a type of plant eating dinosaur that have thick domed skulls. Palaeontologists have found a tooth showing they were in the area, although it is not known what species was present. 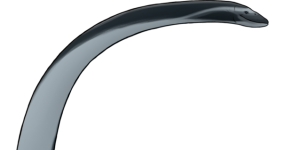 The hard head of the animal is the most commonly found bone, as it is so durable it usually outlasts everything else! 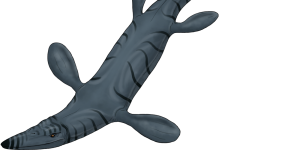 Plesiosaurs were not dinosaurs but aquatic predators more closely related to lizards. 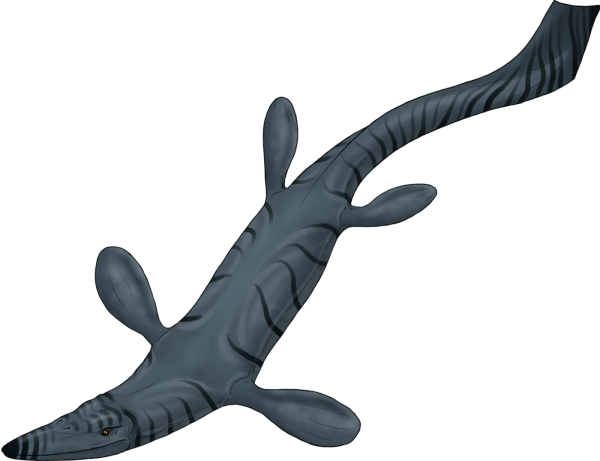 Plesiosaurs swam in the seas that once covered much of western Canada. Their long necks and toothed jaws made them excellent hunters of smaller prey such as fish and shellfish. 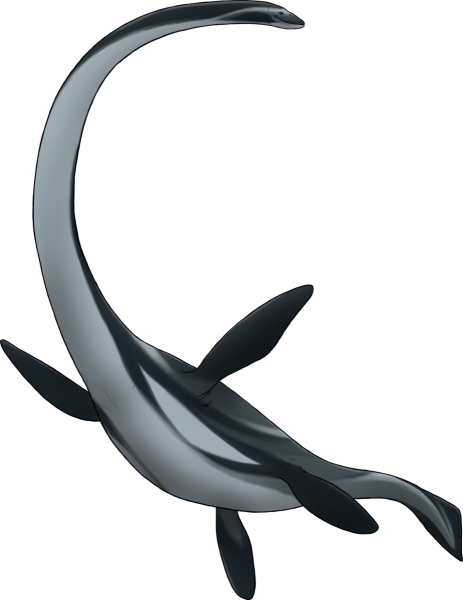 Mosasaurs are a group of large, marine predators that roamed the open seas during the Late Cretaceous. These enormous reptiles grew up to 15 m long and thrived in oceans on every corner of the globe. Their enormous jaws and sharp teeth made them the oceans’ top killers. Teeth and bones of these animals are found in rocks of the Peace Region north of Grande Priaire and have been dated to about 80 million years ago. 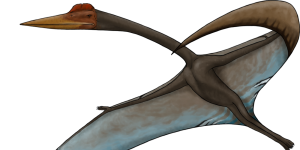 Although commonly mistaken for dinosaurs, pterosaurs are a distinct group of extinct animals. 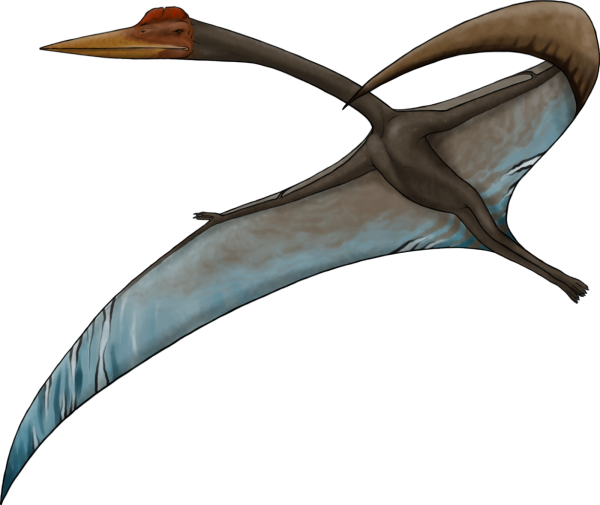 Pterosaurs are the first vertebrate (animal with a backbone) to evolve powered flight, taking to the air before either birds or bats. A footprint from near Grande Prairie is the first of its kind in Canada. Its wingspan may have reached 7m – the size of a small plane!